The Internet IPO is back—if you are a Chinese Internet company. 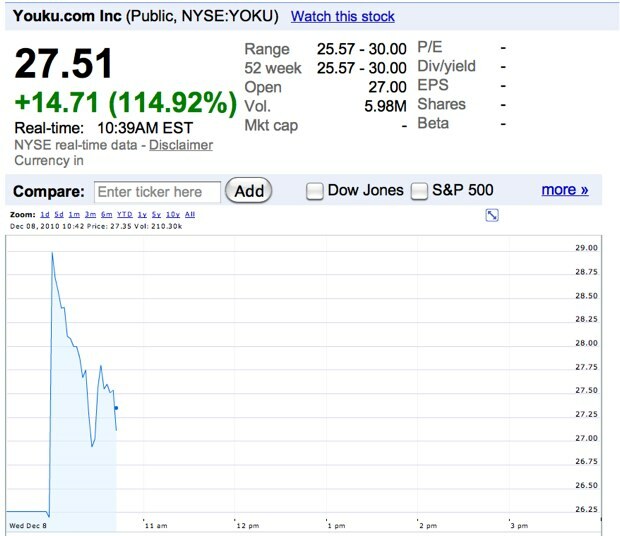 Youku, the YouTube of China, saw its shares pop more than 100 percent in its IPO today. Shares were priced at $12.80, but they are currently trading at $27.60.. That is a 116 percent jump. According to its SEC filing, the company lost $25 million on total revenues of $35 million for the first nine months of 2010. The company raised $120 million prior to the IPO, and another $203 million at the IPO. 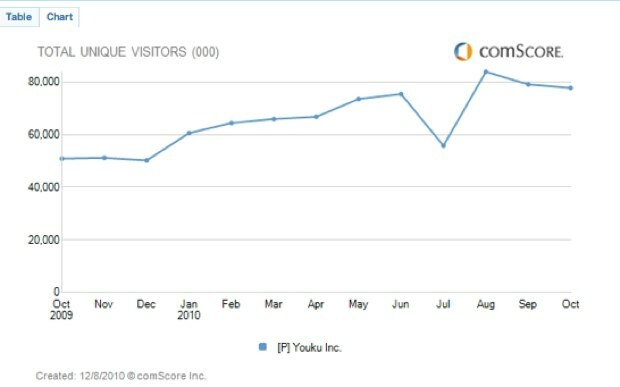 According to comscore, Youku attracted 77.8 million unique visitors worldwide in October, up 53 percent form the year before. Youku is a cross between YouTueb and Hulu, mixing user-generated videos with more professional fare for the growing Chinese audience.